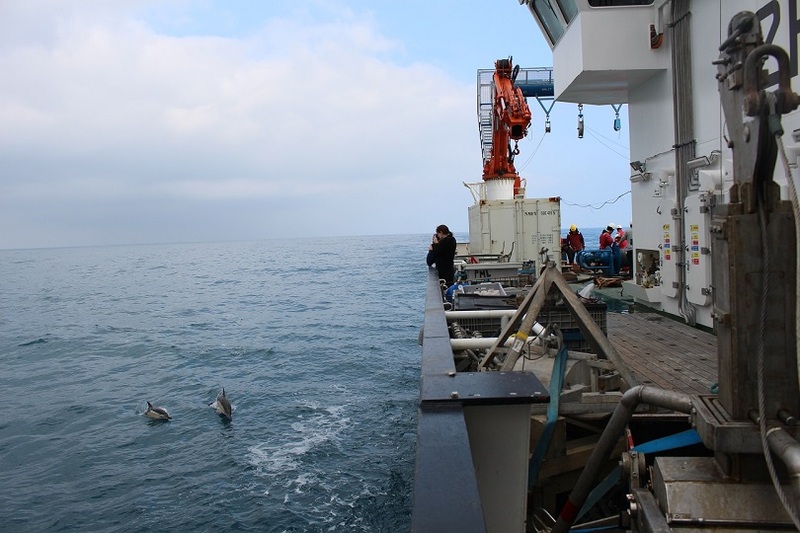 We arrived at CANDYFLOSS early Monday morning and immediately got into the swing of things with some early morning CTD casts and then NIOZ coring. Between the two we briefly left the site to pick up a marine glider, an instrument which is one of the latest developments in marine research. 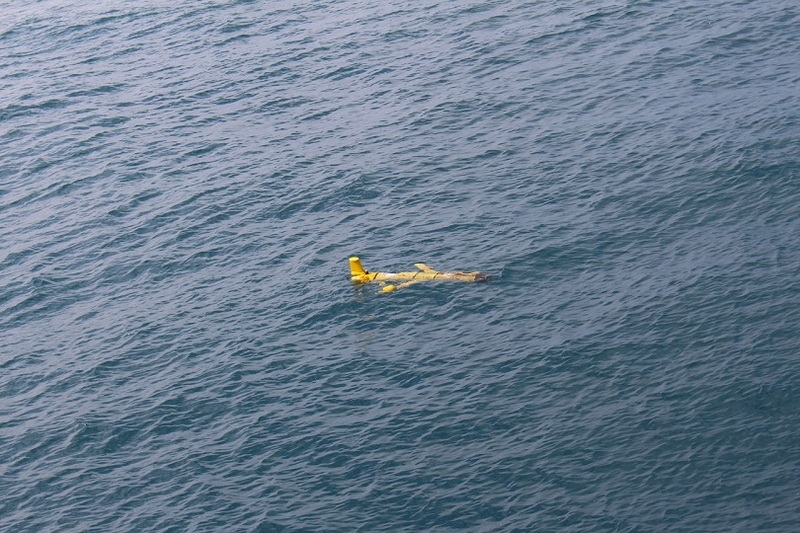 Marine glider shortly before being picked up after three months at sea. Once released into the water, marine gliders are controlled remotely by scientists working for Marine Autonomous Robotics Services (MARS) based in Southampton. They are capable of gliding around the ocean for months at a time and thus are very useful for gaining valuable long term data. 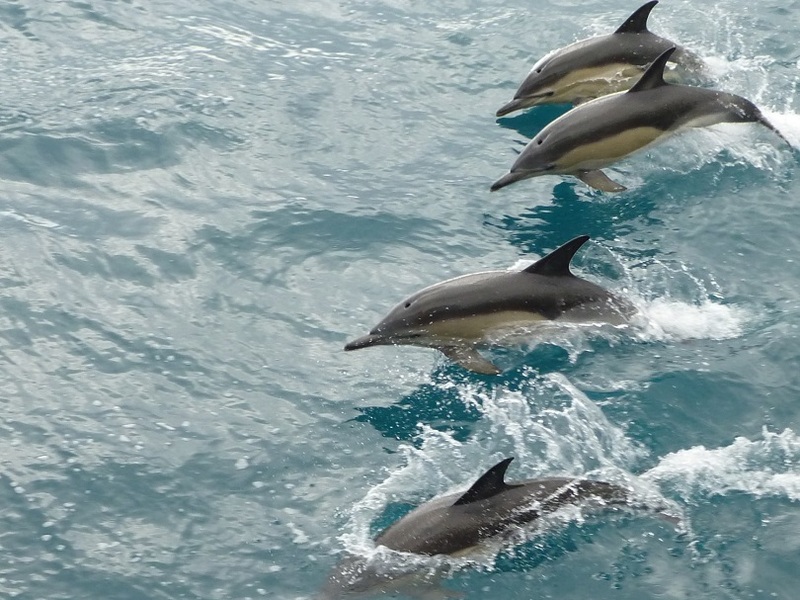 They can move up and down the water column by changing their volume and are steered either using rudders or by shifting their mass to one side or the other. Gliders are useful because they can stay out for a lot longer than your average research cruise, and because they transmit their data remotely to land every time they surface the scientists at MARS can inspect the data almost immediately and find areas of the ocean which are of interest, such as the locations of fronts. Gliders can then be programmed to stay in these scientifically interesting areas gathering useful data. They are also able to work in all conditions, whereas ship based research cannot be performed during times when the weather conditions are too rough to be able to safely deploy instruments over the side of the ship. Autonomous instruments such as gliders are not going to replace ship based research, but the hope is that they will be able to further the capabilities of ocean science and remove some ship based tasks from current research programmes. As well as having sensors measuring chlorophyll, salinity, temperature and oxygen, these gliders also have acoustic monitoring devices used to listen for calls made by whales or dolphins, with the acoustic data being sent back to scientists at St. Andrews University to analyse. This particular glider appears to have been sent to an excellent location to listen for cetaceans, as we had only been at CANDYFLOSS for a few hours when the ship was surrounded by a pod of 8-16 (uneducated guess) common dolphins. This pod stayed around the ship most of the day, and seemed in their element racing the bow as we moved between stations.